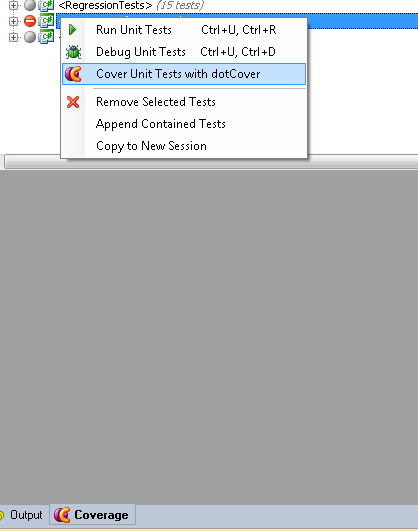 When i select cover units tests with dot cover the tests are run but the content in the coverage tab below stays grey no matter what. Any ideas on why? 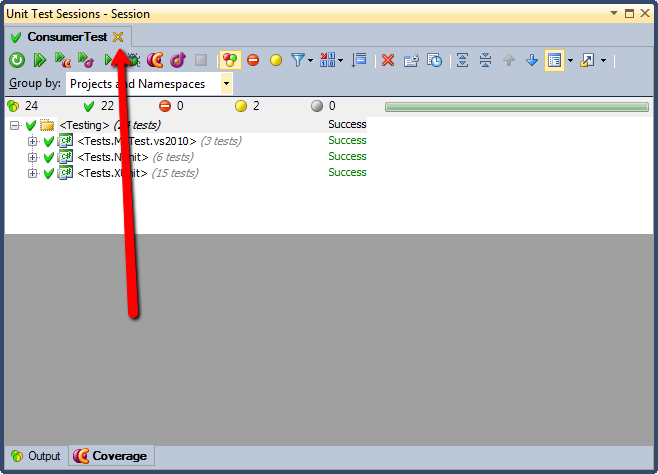 Current workaround for this issue is to close unit test session tab - and then run coverage.